Arts Minister Ros Bates has joined students from the Aboriginal Centre for the Performing Arts (ACPA) for a brief tour of their new home at Brisbane’s Kangaroo Point. Ms Bates watched students in action in theatre rehearsals and music, ballet and hip hop classes during her visit. “ACPA is the only organisation in Australia offering performing arts training across all genres - music, voice, dance and drama to young Indigenous people,” Ms Bates said. “The new venue has eight new state-of-the-art studios including two for music, four for dance, and two for acting, along with office accommodation. The State Government provided funding of $960,000 to the Aboriginal Centre for the Performing Arts for its move to the new premises at Kangaroo Point. ACPA started in 1997 and attracts Aboriginal and Torres Strait Island students from across the nation to study at the Brisbane facility. This year ACPA is working with Queensland Performing Arts Centre and Queensland Theatre Company to present Up the Ladder in October. The show follows an Aboriginal man’s journey in post-war Australia to become a champion boxer. It features more than 50 dancers, singers, actors and musicians from ACPA. ACPA is also working with the Queensland Symphony Orchestra and Expressions Dance Company to present Towards the Flame in November. Ms Bates said the Centre was the winner of the 2012 Premier’s Reconciliation Award, in partnership with Link-Up (Qld) Aboriginal Corporation, for their production of Stolen. 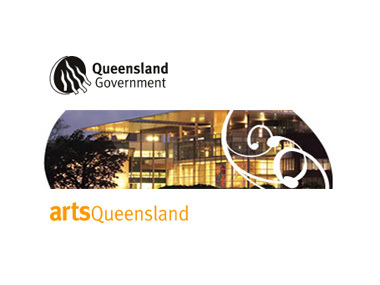 ACPA receives funding from the Queensland Government through Arts Queensland and the Department of Education, Training and Employment.